As herb/fruit/ornamental folk, Ryan and I are prone to bouts of vegetable envy. It flares up at the peak of sweet corn season — oh Instagram, why must you tease us so? — and returns around this time of year, when cold frames are being compared and beet greens are being planted across the Northern Hemisphere. For the complete article, please visit thehorticult.com. This is our first year open as a garden. It was built as a way to bring neighbors together and create a stronger neighborhood and sense of community. Most of the gardeners live in the neighborhood where the garden is located. We are currently harvesting the last of the tomatoes and peppers. We are also harvesting winter squashes and leafy greens such as kale and chard. Gardeners are cover cropping and mulching plots for the winter. 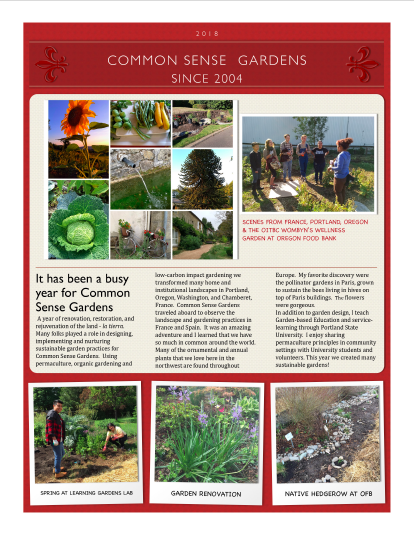 We recently had a work party to do these things for abandoned plots and for the plot we garden collectively to donate produce to a local non profit. We also spread wood chips over the paths. We are always weeding paths, straightening the shared tool shed, tending the compost and weeding our own plots. 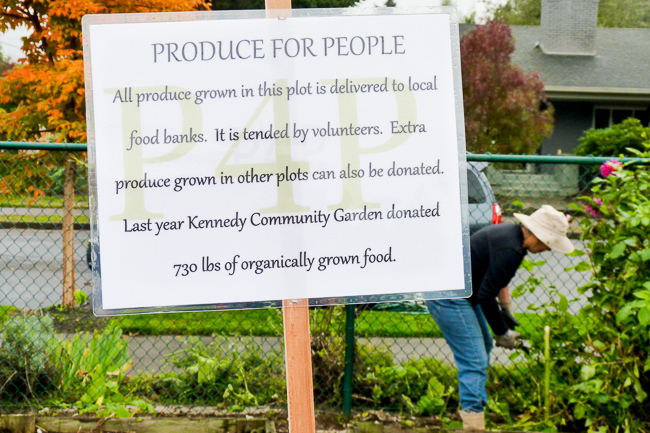 ` a work party, gardeners winterize the plot used for produce donations. Those who are winter gardening have planted radishes, kale, leeks, Brussels sprouts, lettuce and spinach starts as best I can tell. It is likely garlic, carrots and other things have been planted as well but have not yet become visible. Radishes and lettuces will be harvested over the next few months. Existing kale and leafy greens from the summer will continue to produce over the winter. New plants will be ready starting late November. Cabbage, carrots, kale, squash/pumpkins, kohlrabi, lettuce, spinach, cilantro, and hoping my last ears of corn ripen — still looking good as long as it doesn’t freeze in the next couple of weeks. Harvesting, weeding, composting, adding amendments (ash, lime, phosphorus, nitrogen, bone meal), covering with mulch, planting. Garlic, onions, spinach, lettuce, cilantro. Greens are under a cloche; will have cold frames when it freezes. Garlic and onions will be harvested next summer — onions in June, garlic probably July or August. Spinach, lettuce and cilantro are harvesting now through frost. When it freezes, my cold frames will keep the plants alive, but they’ll stop growing for a while. They’ll probably start growing again in February and continue to harvest till they go to seed when it warms up, probably April or May. I don’t harvest my lettuce as a head; I harvest outer leaves through the whole season, which keeps it going longer. I have harvested a lot winter squash, Swiss chard, radicchio, parsley, kale and sorrel. 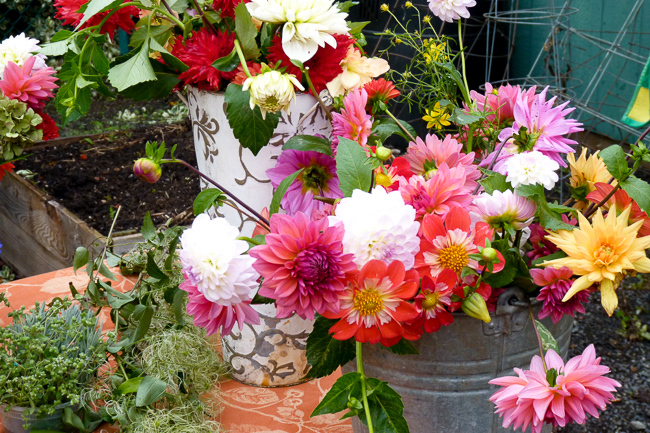 We [also] have a lot dahlias, salvias, cosmos and marigolds still blooming and some nasturtiums, and lots of herbs. At Kennedy Community Garden, the dahlias are still in bloom. 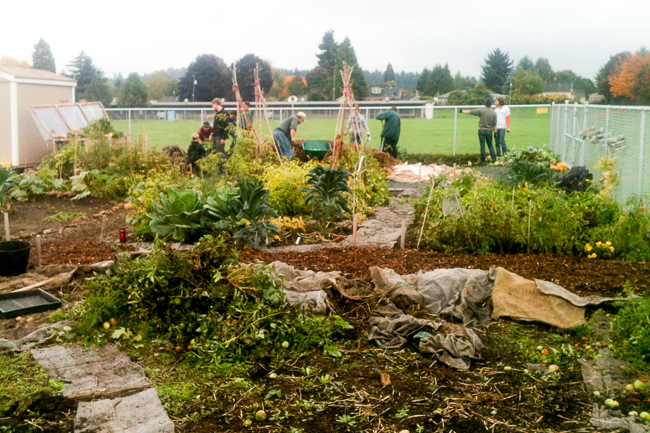 Winterizing with sheet mulching and berms (or hugelkultur), cover crops, weeding and planning. We recently spread bark mulch and compost. Winter peas, fava beans, some crimson clover and that’s about it. 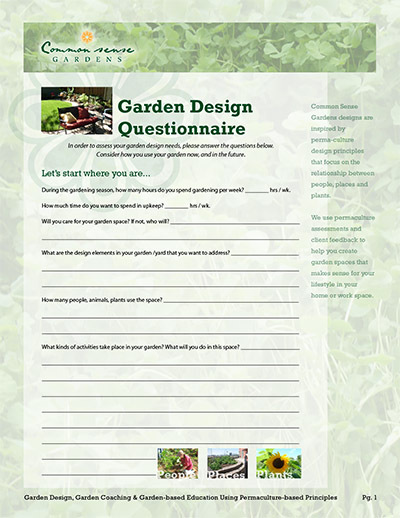 Many gardeners have Brussels sprouts, and other greens as well as beets, carrots and parsnips. We harvest the winter peas and fava beans in the spring. 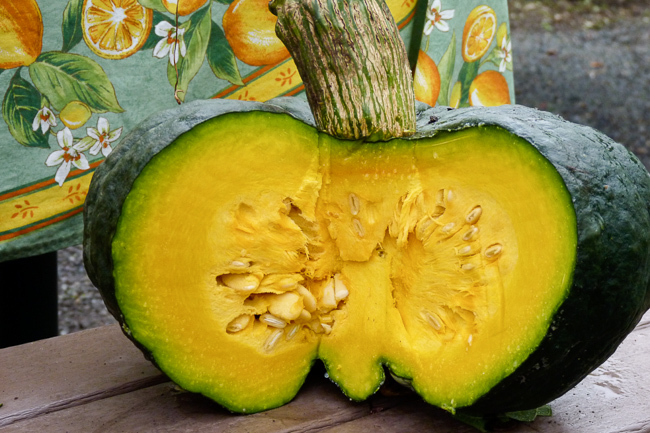 They hold the space/soil through the heavy winter rains and start growing and forming fruit in early spring. 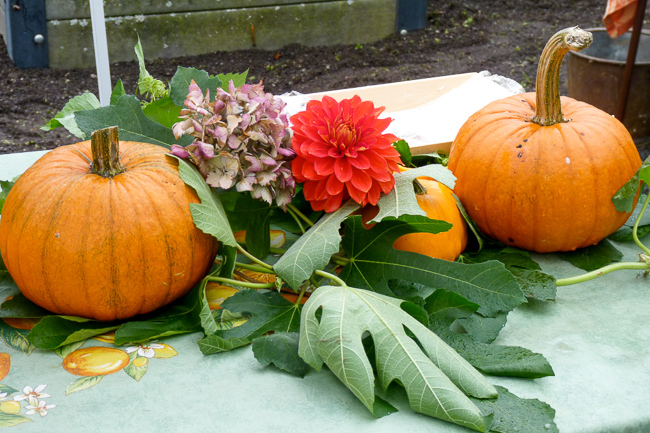 Pumpkins, hydrangea and dahlias create a cozy fall vignette. Lettuces, peas, carrots, green tomatoes, Italian parsley, lemon basil, lavender, balm, sage, and seeds from lavender, oregano, Italian basil, lemon basil, fennel and zinnia flowers that have gone to seed. Composting, soil preparation for fall and winter crops (mulching, and crop cover to come), harvesting seeds. Spinach, kohlrabi, cabbage, and transplanting herb seedlings. I plan on harvesting the spinach as soon as two to three weeks, kohlrabi as soon as the bulbs form (about another month) and the cabbage I plan on growing as a winter crop. The herbs are fast-growing, so about a month until those are ready for harvest.